Let’s take a moment to introduce our guest writer, Dr. Matt Schick.Dr. Matt Schick is a chiropractic sports specialist providing performance-based treatments to high caliber athletes and active individuals. Dr. Matt is a certified provider specializing in the most advanced sport specific techniques—Active Release Technique (ART®) and Graston Technique. He graduated from Logan College of Chiropractic located in St. Louis, MO, in 2010. While attending Logan, he also obtained his Master’s of Science degree in Sports Science and Rehabilitation. Dr. Schick grew up playing sports and attended Western State College on a football scholarship. His love of athletics has allowed him to work with and treat high school athletes, university athletes, and the USA Rugby World Cup team. Off the field, Dr. Matt has traveled to Dominican Republic for the Chiro Mission organization, aiding locals in heath care and education. He is the lead doctor at 5280 Cryo & Recovery Clinic Fort Collins. The 5280 Cryo & Recovery Clinic here in Fort Collins offers Whole Body Cryotherapy, and if you haven’t tried it out, you really should! Whole Body Cryotherapy comes to Fort Collins! 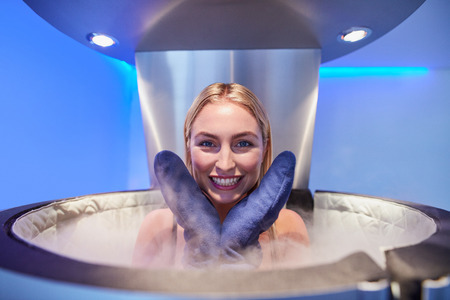 What is Whole Body cryotherapy? Whole Body Cryotherapy, or WBC, is the submersion of your body (except the head) in a chamber that is filled with nitrogen gas. What is the purpose of this submersion? Submitting yourself to the extreme cold temperatures of WBC helps to fight inflammation, decrease pain, reduce soreness, and give you a boost of energy. How does it work? When the body is exposed to temperatures this cold, it goes into a fight or flight response. What this means is that the blood vessels in the extremities (hands, feet, legs and arms) are closed off and that blood is instead circulated around the core. While circulating in the core, the blood picks up more oxygen, and other enzymes and nutrients that the body uses to heal. The brain also releases endorphins, which are our natural pain killers. When you step out of the chamber, the blood vessels open back up, creating a flushing effect, and the blood rushes back out to the extremities taking with it all those enzymes, nutrients, and endorphins, which gives the tissues the fuel that they need to speed the healing process. And because the endorphins are there, they relieve pain and give somewhat of an energy rush, or a natural high type of feeling. What is the difference between WBC and an ice bath? Whole Body Cryotherapy is like an ice bath on steroids, but it isn’t nearly as miserable as ice baths, and it only takes two and a half minutes, compared to at least 20 with ice baths. Another difference is in the way that each works. Ice baths are a wet cold, where the response from the body is to try and warm the area up. The brain sends more blood to the extremities in turn causing the blood to slightly decrease in temperature. With WBC, because the blood is in the warm core, it actually increases in temperature. With WBC, the nitrogen gas is a dry cold, so even though the actual temperature is much colder, the process is very tolerable. Who can use WBC? Even if there is no injury or pain present, people still notice a difference after getting done with a session in the chamber. Obviously, the more pain you are in, the more noticeable a difference you will note. People with acute athletic injury or are in the recovery phase from an injury can benefit greatly from WBC. People who just had surgery can see a huge benefit from WBC, as usually the number one reason for not progressing quickly with recovery is inflammation, and WBC can almost eliminate inflammation. People who suffer from chronic pain syndromes such as arthritis, MS, and some auto-immune diseases benefit as well. If you are just sore from a very tough work-out, WBC can decrease soreness by almost 80%! 5280 Cryo & Recovery Clinic, we also don’t like to have kids under the age of 14 get in the chamber. How do I schedule my Cryo Session?? You can call the Fort Collins office at 970-682-1829, or send an email to 5280cryoftc@gmail.com. The website also has information. Right now, we are having a Holiday Special of 20% of the Jump Start Package of 2 sessions for $80. Call right now to reserve your spot!